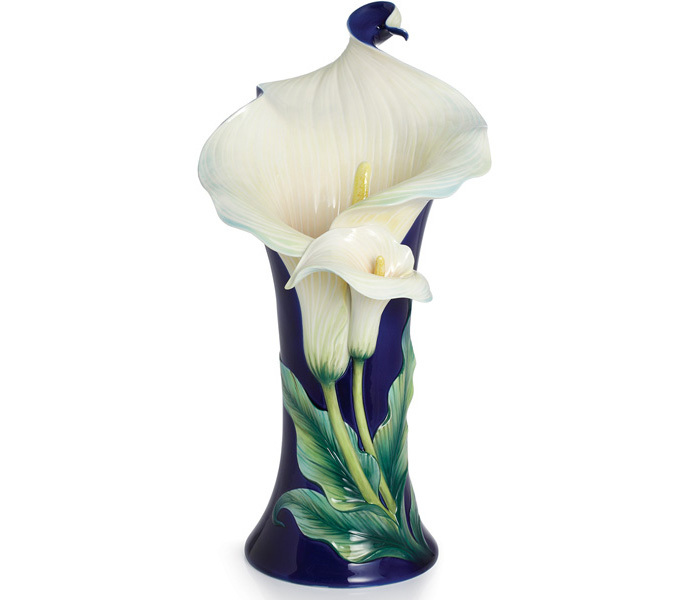 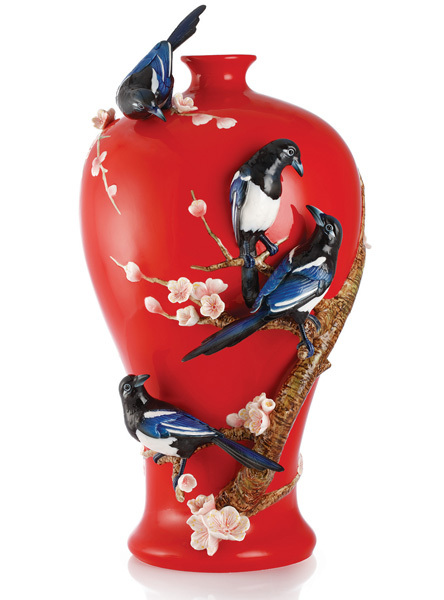 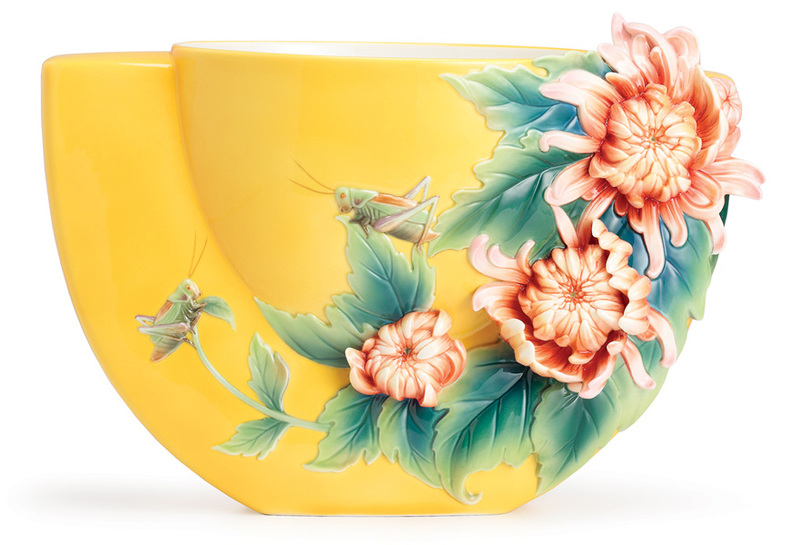 Inspired by the love for nature, Franz Porcelain developed delicate butterflies, fragile flowers, whimsical animals, and other motifs that successfully and uniquely combine traditional Chinese character with classic Art Nouveau designs. 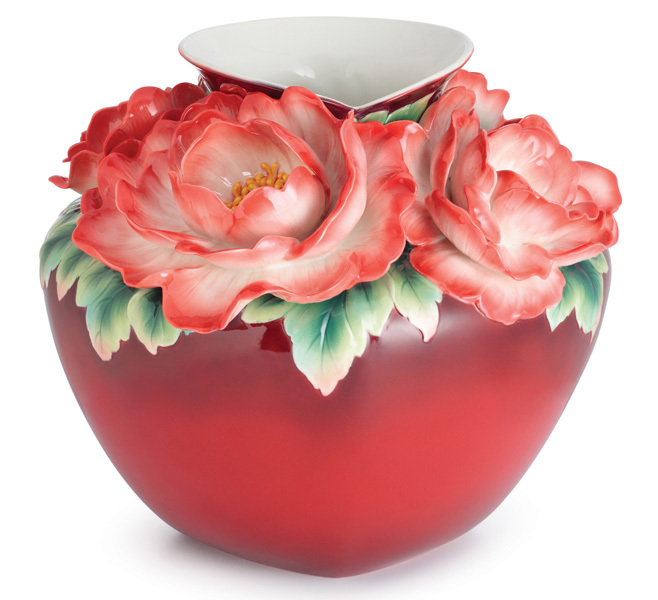 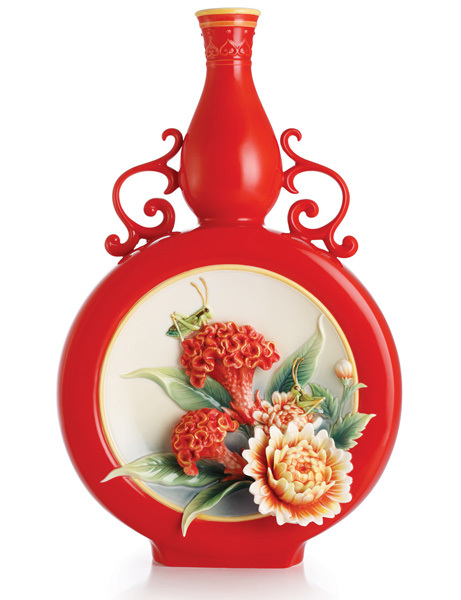 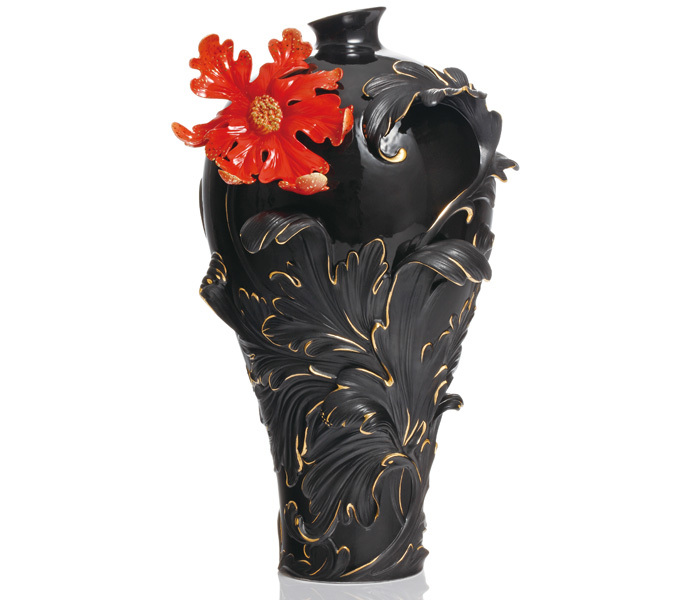 Every piece of Franz Porcelain blends the essence of Oriental culture with the styling inspired by Western artistry. 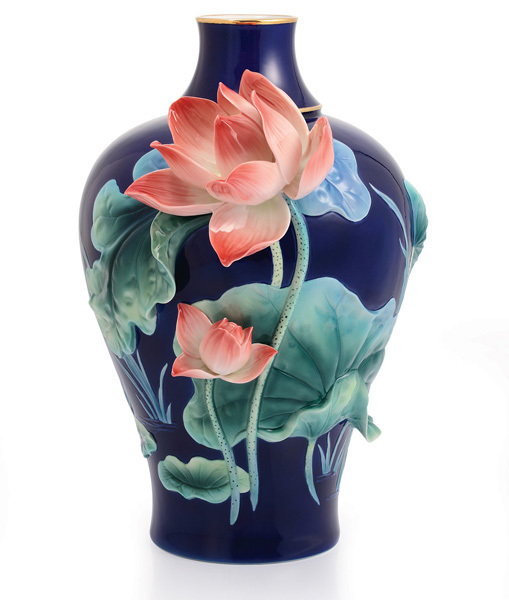 Franz Porcelain is created using the finest Chinese clay and glazes – and with a little touch of magic from the goodwill of the Chinese spirits of Fire and Earth! 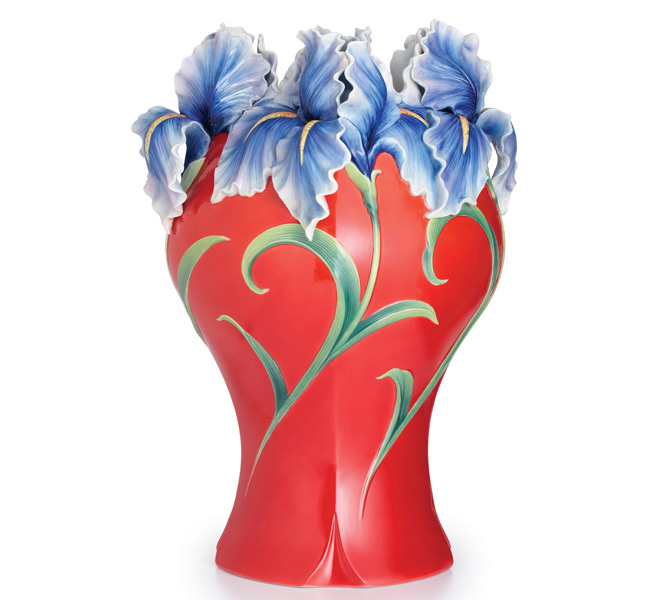 More than a dozen separate processes go into the production of the intricately sculpted Franz Porcelain tabletop, vases, and decorative accents. 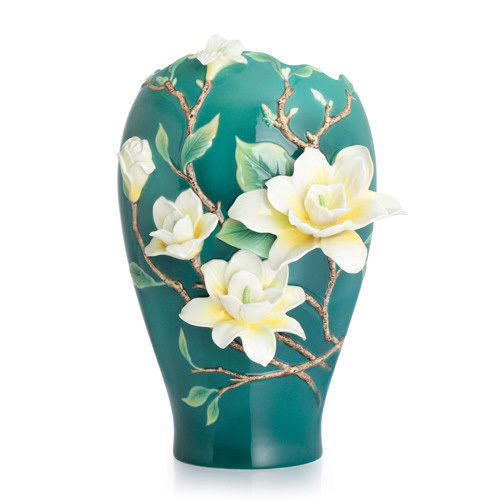 Franz’s talented staff of artisans has experimented with the many ways to glaze, decorate and fire ceramics for decades. 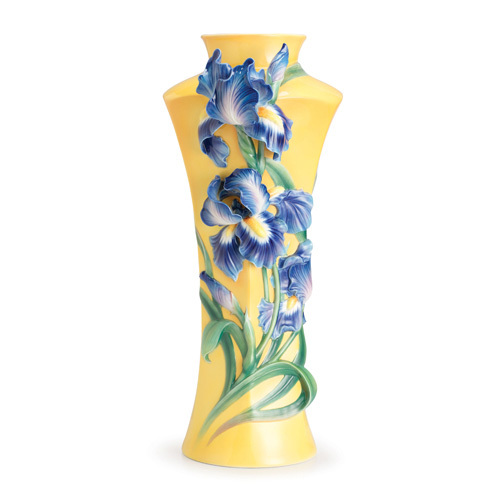 Today, they employ traditional underglazing techniques as well as colored glazing, crystalline glazing and overglazing to produce unique and elegant products. 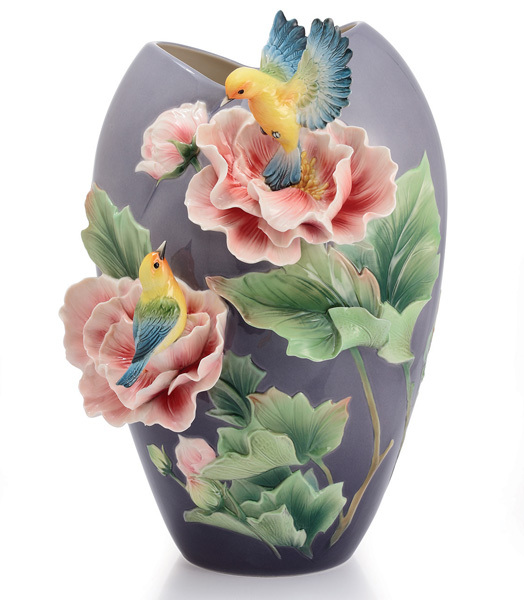 Using the underglazing technique, the finest Chinese clay is painted with a subtle Oriental color palette, coated with a layer of transparent glaze, and put into a kiln for firing at a temperature of about 1,000 degrees Celsius. 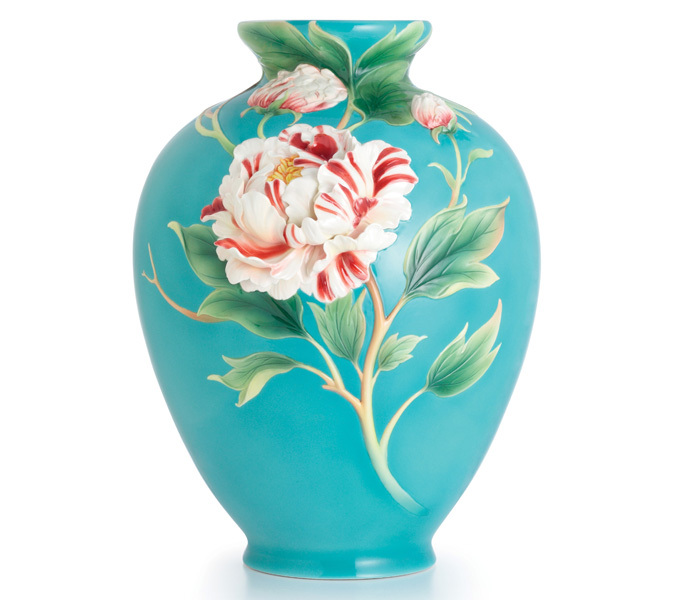 The end results are aesthetically pleasing, and create a distinctively stylish décor collection. 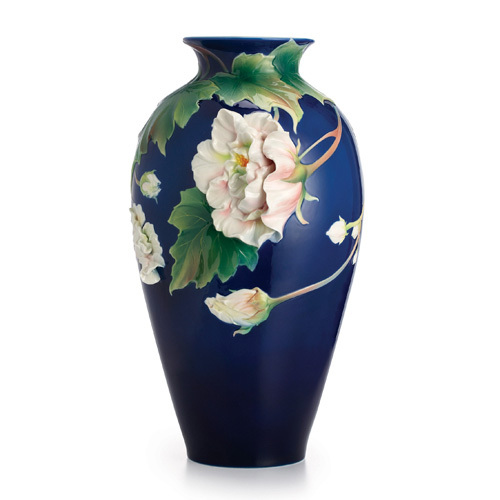 Every piece of porcelain superbly illustrates Franz Porcelain creators’ graceful design, intricate skills, and the desire for perfection. 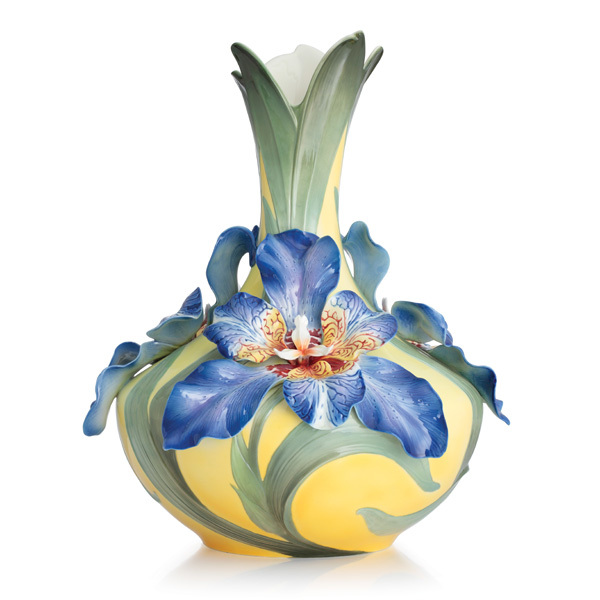 Robert Paul Galleries is proud to bring Franz Porcelain to the American collector.